Catfish to the weigh in. Weigh-ins will start at 11:00a at the tournament headquarters (located at Faith United Methodist Church, 3510 Arkansas Road, West Monroe, LA 71291). The awards ceremony will start at 12:30p. category above. (The event is open to all children ages 5 to 15 years old. Participants do not have to catch a fish to be entered into door prize drawing but must check in at the tournament headquarters to be entered. Event will not be cancelled or rescheduled due to rain. 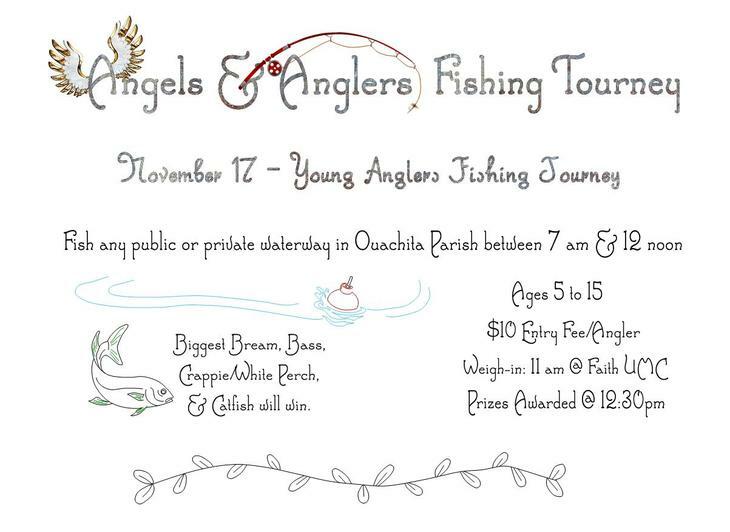 • Adults may cast and assist landing the fish for the youngest participants.